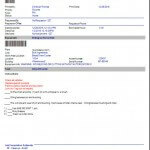 Preventive maintenance software automatically scheduled and issued. Built on reliability analysis data. Simplify Your Maintenance Program Now! Good preventive maintenance software solutions are the difference between reactive maintenance and preventive maintenance. Most importantly, reactive (corrective) maintenance leads to time losses, product losses and a disruption to normal product flow or activity. There two different ways to manage preventive maintenance in MaintSmart. 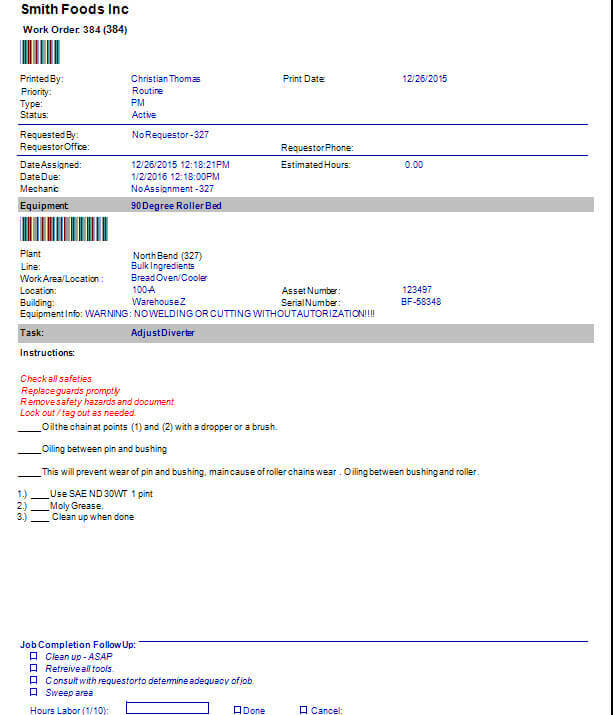 Work order templates triggered by meters or schedules. Many organizations use both methods to manage preventive maintenance. First of all, use the work order template PM method for comprehensive and detailed job assignments. Alternatively, the calendar-based PM system is fast but not as detailed. Although the calendar-based PMs are not as detailed they are capable of extensive parts lists and detailed instructions. Moreover, close completed tasks listed on the calendar-based preventive maintenance task list in seconds. Best of all, as these PMs are closed new PMs generate automatically. 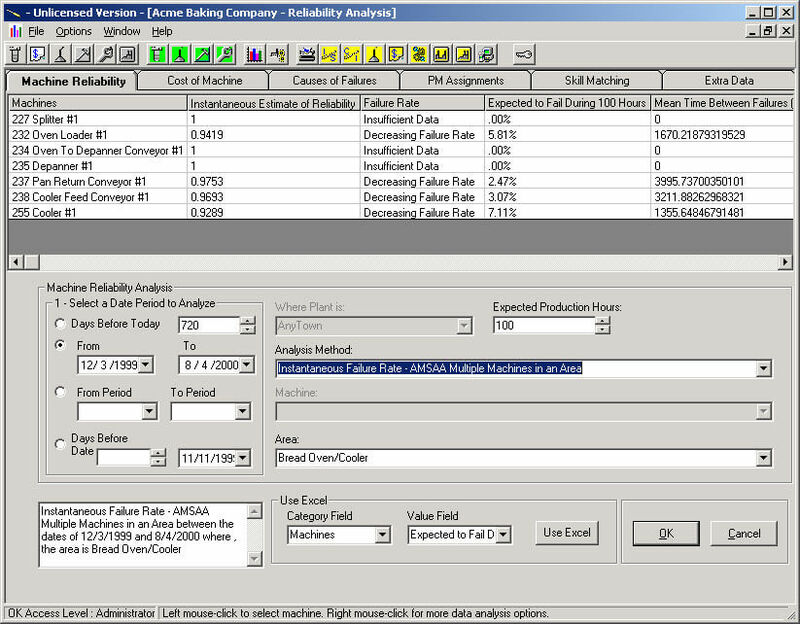 For preventive maintenance optimization import PM intervals into the reliability analysis module. Consequently, the reliability analysis module uses mean time between failures (MTBF) to suggest optimized intervals for preventive maintenance tasks based upon the failure cause(s) for this equipment. Our preventive maintenance software is the only CMMS offering this powerful optimization tool! The preventive maintenance software has several formats for the PM lists ranging from a simple list format to a comprehensive format with many pages of details and parts lists if needed. A CMMS preventive maintenance software program (PM software) is essential for a well-run maintenance operation of any size. 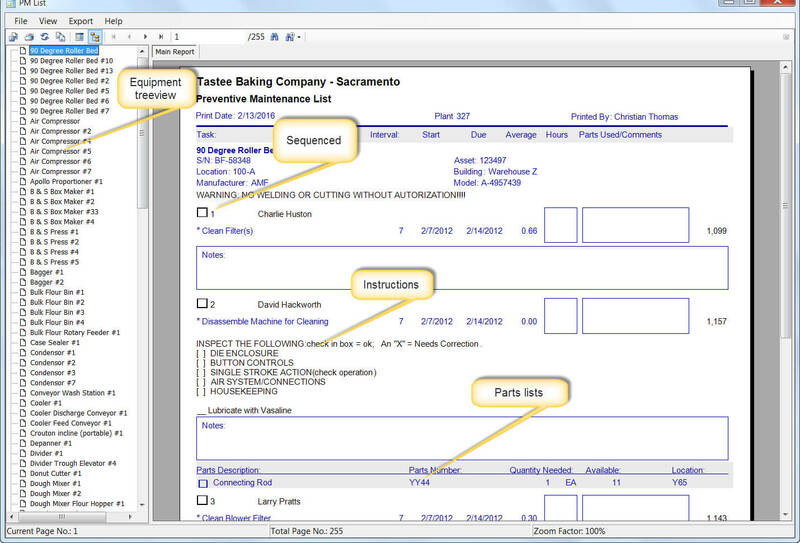 This CMMS offers two ways to manage preventive maintenance and multiple task list formats. 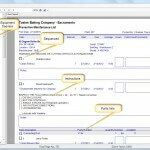 From simple checklist format to a comprehensive document with unlimited text details and file attachments of any type. 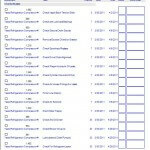 Some CMMS preventive maintenance software programs offer a simple picture file as a way to further describe the PM task. 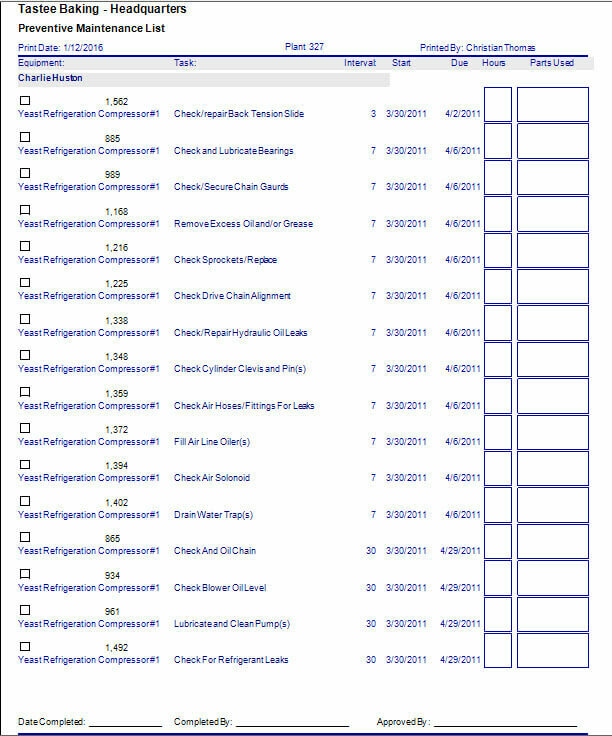 Our CMMS links any file type to the preventive maintenance task offering good flexibility in describing the work at hand. Every Monday at 8:00 AM email all PMs coming due this week to each of the technicians responsible for the assigned work. Print out the daily walk-around checklist for each of the three shifts at the start of their shift period every day. To meet a code compliance directive issue the preventive maintenance task list for the catalytic oxidizer every 90 days at 7:00 AM . Our preventive maintenance solution automatically creates preventive maintenance based upon equipment demand. To begin with, manually enter meter threshold values (example: 1000 hours). This threshold value triggers PMs when the threshold is reached. Additionally, there is a way to update meter values directly into the software from the equipment. To clarify, the software reads an OPC compliant data network such as Wonderware, RsLinx (or many others). The system accomplishes this by linking to a memory address (tag) in the OPC data server or PLC. Subsequently, the preventive maintenance software automatically issues the work based upon actual equipment requirements rather than a date range or interval. Using CMMS Preventive Maintenance Software. Link spare parts to preventive maintenance tasks for automatic usage of the part. Spare parts are reduced from inventory as preventive maintenance tasks are completed. 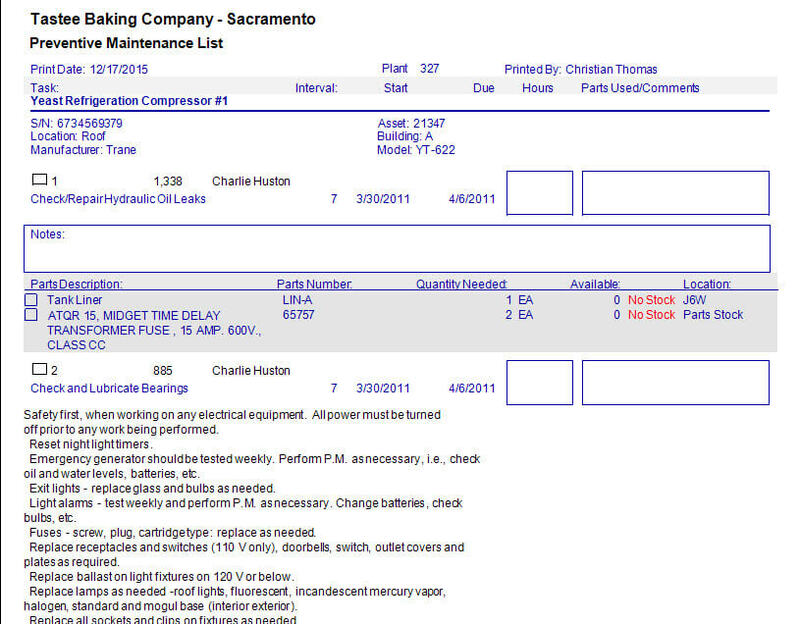 Conversely, use parts manually where spares lists have not yet been linked to PMs. To clarify, the parts usage screen is directly available from the work order, down time and preventive maintenance screen. As spares are used the preventive maintenance software system logs who used, why used when used, the account, cost center, equipment item and more. All of this data is available for analysis and reporting later too. 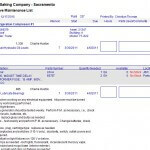 Return unused spares (either manually or automatically) to stock with virtually no effort. The maintenance planner has full control over who can use spares through the permissions module. 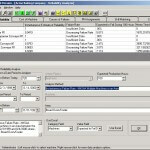 Lastly, all inventory data table transactions are logged by the software regardless of the origin of the transaction.